pure gold, the product of specially treated planchets struck twice by polished dies. But what else do you notice? Is it how each proof's frosted details rise firmly from their mirrored backgrounds? Is it how the soft lines of James Earle Fraser's original Buffalo Nickel design come together to create images that appear rugged and weathered? Do you see a solemn memorial to frontier days past or a celebration of heritage and continuing traditions? 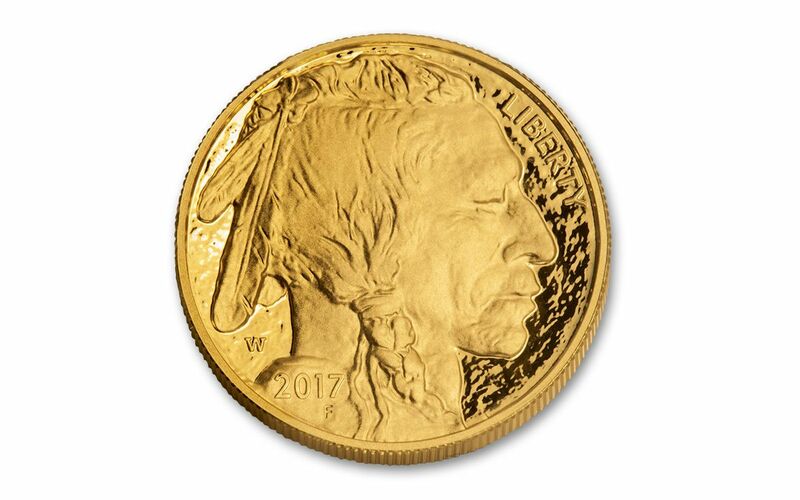 No matter what you find within its fields, Gold Buffalo Proofs have a distinct beauty that has been attracting collectors for over a decade. 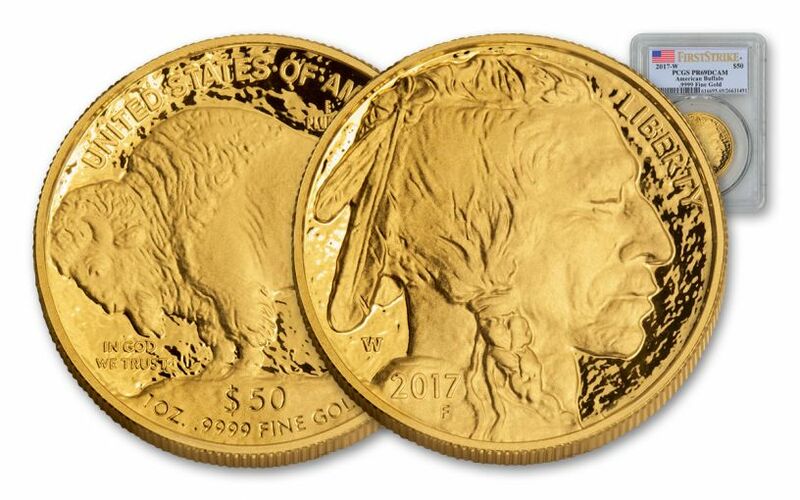 Now, the 2017 Gold Buffalo Proofs have arrived at our vaults, and they're ready for your collection! Two Anniversaries, One Incredible Proof! The return of the Gold Buffalo Proof in 2017 heralds two important anniversaries -- the 11th year of this collectors' favorite series and the 225th anniversary of the United States Mint. And when it comes to honoring both, these proofs do a spectacular job! Struck at the West Point Mint in New York, each of these lustrous $50 U.S. legal-tender proofs showcases the signature "W" mintmark. And, of course, the expertise of the West Point Mint continues to literally shine through these skillfully proof-struck coins. The Proof You Need, the Features You Want! Your coin will be graded Proof-69 Deep Cameo (PR69DC) by Professional Coin Grading Service (PCGS), a distinction that means your almost-flawless Gold Buffalo Proof will showcase an impressive full strike and indistinguishable imperfections -- well above and beyond the quality of the vast majority of proofs in the series. In fact, many collectors prefer the PR69 grade since it certifies recognized collector status for just a small premium above ungraded proofs. 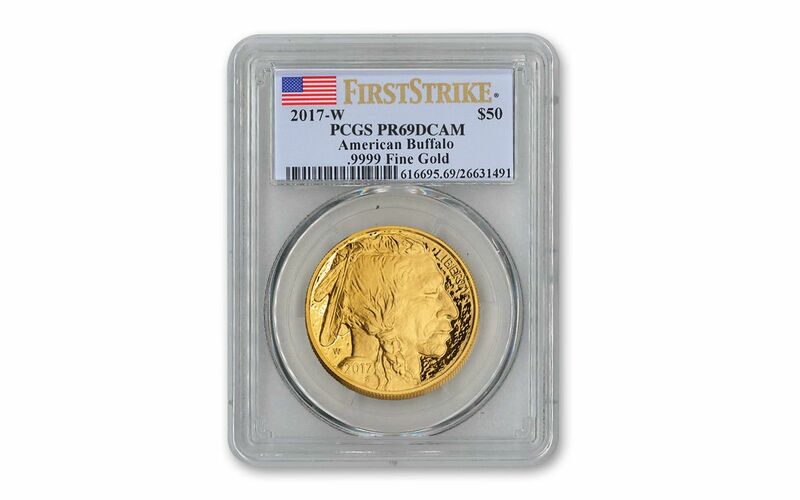 Your Gold Buffalo Proof will also be certified First Strike (FS) by PCGS, meaning that your proof was among the first struck by the mint and was verified within the first 30 days of issue. Collectors seek out these proofs because they are produced with new dies and considered to have sharper strikes and deeper mirrors than those that are struck later. Also, the population of proofs labeled First Strike is only a fraction of the total mintage! Finally, all of your proof's unique characteristics will be described in detail on the acrylic case's special label, proudly proclaiming your Gold Buffalo Proof's First Strike status alongside an image of the American flag. 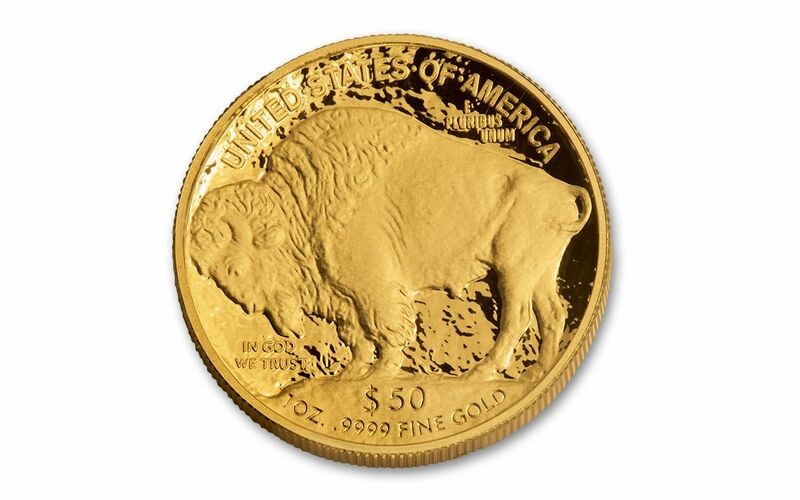 Gold Buffalo Proofs like these see consistently high demand from year to year. And, with the U.S. Mint's big anniversary this year, we're expecting even more orders for these legendary proofs. Don't delay -- now that you have it in your sights, put one (or several) in your cart now!